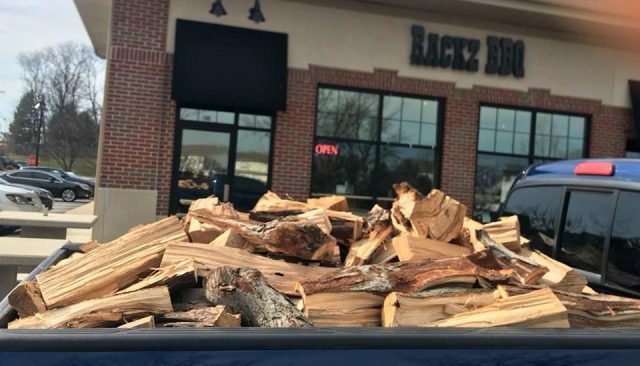 If you are looking for delicious smoked barbecue and tasty southern classics in Carmel, visit Rackz BBQ for authentic flavors at an affordable price! Here at Rackz BBQ, we specialize in home-style barbecue and southern classics, offering an ever-changing and exciting menu filled with a wide selection of smoked meats, savory sides, and delectable starters, all of which are made to order by our culinary experts and chief pit master! We Have Your Favorite BBQ Meal! When you visit our restaurant, you will be in for a memorable and satisfying meal. Start with some of our delicious appetizers, like pork belly burnt ends, BBQ chips and dip, homemade pork rinds, and more. And then indulge yourself with one of their smoked meats, including barbecue ribs, pulled pork, smoked chicken, pulled chicken, beef brisket, and a variety of combo platters. But no meal is complete without some homemade, Southern-inspired side items! So be sure to add on some of our custom side selections, like macaroni and cheese, coleslaw, peach baked beans, glazed carrots, French fries, and more! And when you are all done with your meal, it’ll be time to finish with something sweet, like our assorted Hershey’s frozen treats or our rotating pie selection of the week! Here at Rackz, we make dinner convenient for everyone by offering call ahead and takeout orders. And if you do not want to leave the house, you can simply order our delectable barbecue on DoorDash! For larger gatherings and event, take advantage of our BBQ catering services! There is something for the whole family at Rackz BBQ, and you won’t be disappointed on your first visit! Even better, we are conveniently located in Carmel, Indiana, right off of Hazel Dell Parkway, and just North of Main Street. As a locally owned and operated barbecue restaurant, you can expect hot fresh barbecue at economical prices. Come check out our fantastic deals and delicious meals, today! Rackz BBQ is eager to impress you with our delicious, made from scratch barbecue cuisines. As a Carmel BBQ restaurant dedicated to quality and value, you can trust us for exceptional customer service, neighborhood prices, and most importantly, authentic barbecue fare that you will love. Contact us at 317-688-7290 to place a call ahead order, or to learn more about our menu selections, prices, and specials. This entry was posted in Barbecue, Smoked Meats and tagged authentic barbecue Indy, barbecue dinner carmel indiana, barbecue restaurant Carmel, barbecue smoked meats, barbecue takeout carmel indiana. Bookmark the permalink.